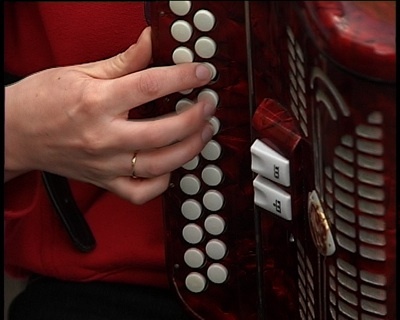 All-Ireland Under-18 Accordion Champion for 2003, Janine Redmond from Dublin, plays two hornpipes commencing with “Munster Grass” by Ed Reavy. Recorded at Fleadh Nua in 2004. ComhaltasLive #326-3: Mike Rafferty and co. play two reels.